- abonneer je op onze kanalen en blijf zo op de hoogte! eenvoudige installatie en precieze configuratie zijn deze detectoren ideaal voor alle soorten objecten. De omgeving van het huis net zo veilig als binnen! kleur variant erbij gekregen, om zo nog beter in het interieur te kunnen passen. draadloos of hybride systeem te creëren. Het is tijd voor een VERSA Plus alarmsysteem! een notificatie functie d.m.v. push en e-mail berichten. Systeem bediening vanuit de gehele wereld! systeem status weergave in de screensaver mode. MICRA wireless system has been designed primarily for protection of small facilities. Possibility to use wireless movement detectors and magnetic detectors provides optimal intrusion control, while wireless smoke and flooding detectors may provide additional security. System operation with remote controls, wireless control pad or a cell phone is simple and intuitive. are key advantages of the MICRA module. MICRA alarm module owes its versatility to its ability to work with both traditional wired detectors, and dedicated wireless ones. 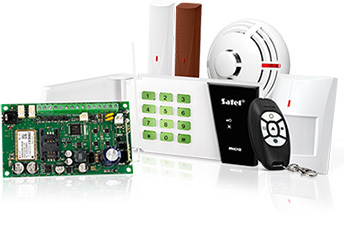 This provides for fast and simple build of an essential alarm system without necessity to lay cables. If needed, the system may be extended with less standard detectors by using standard cable units. Additionally integrated buffer power supply unit with battery support ensures continuous protection even in case of 230 V power supply outage. MICRA system is perfectly suited for protection of small facilities like merchant stalls, cottages, garages or small workshops. Yet its application range may be much wider. Thanks to its compact structure the module ensures system mobility whenever needed. This makes it perfect for temporary security systems, e.g. at construction sites. Thanks to using wireless communication, installation of a MICRA system is extremely easy. 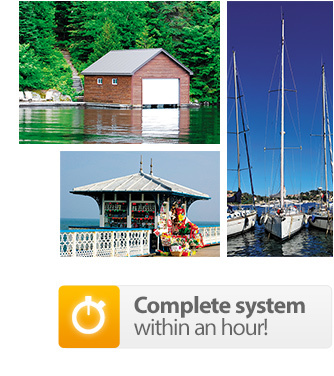 A complete alarm system may be installed within an hour. Configuration of a MICRA module does not require skills of programming complex alarm control panels. To set up the module it is enough to connect it to a computer with appropriate cable and launch special software programme. The software enables fast and easy adjustments of the module operation for local needs, e.g. 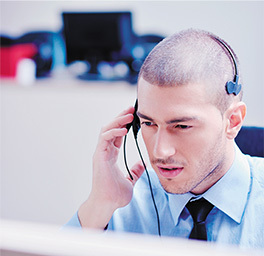 programming telephone numbers, add new detectors or configure remote control devices. Everyday control of the MICRA system could hardly be any easier. Standby activation and deactivation may be carried out with wireless remote control - just like in a car alarm system. This makes training of future system users very short and minimises probability of user errors. The same remote control which is used for activation or deactivation of the system may also be used for calling help or remote gate opening. 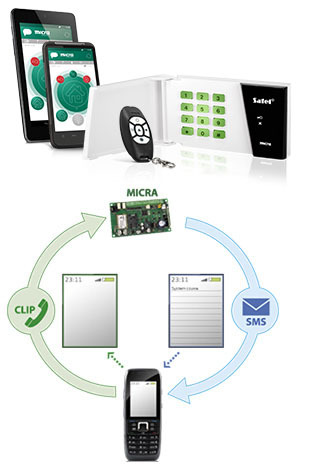 CIf password control is needed (like in case of traditional alarm systems), MICRA system may be enhanced with a wireless keypad. This solution may be appreciated in technical facilities which have to be accessible to various maintenance teams. It is worth to mention a unique possibility to control the system through a cell phone. It is enough to send a text message or initiate a connection with a MICRA module’s number (so-called “CLIP”) to activate or deactivate the system. 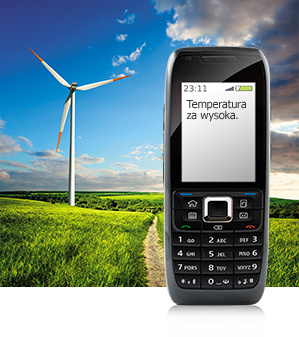 MICRA module is equipped with a GSM/GPRS communicator which not only ensures text message notifications of events, but also allows to transmit information to a security company’s monitoring centre. It is also possible to remotely control the system with text messages – not only activation and deactivation, but even control of devices connected to the module, e.g. garden lighting or entrance gate. MICRA’s unique feature is acoustic alarm verification – ability to listen to the events at a protected site over a telephone. This allows to remotely evaluate reason of a potential alarm signal and avoid extra costs incurred due to an unnecessary intervention. Analogue input compatibility provides a range of new applications for a MICRA module. Thanks to this feature the module may successfully supervise operation of various industrial equipment, especially devices located in remote technical buildings. MICRA module may perform telemetry functions, periodically transmitting information on values of voltage signals at analogue inputs. Moreover appropriately configured MICRA module may send notifications if critical values of certain process parameters (e.g. temperatures, pressures, speeds) represented by voltage signals are exceeded. MICRA module, just like other SATEL equipment, is characterised by top quality and thought-through design solutions. This not only guarantees reliable operation, but also appropriate security levels. Digital wireless transmissions with dynamically changing encryption prevents simple remote control signal “forging” and system deactivation by an unauthorised person. Another example of used technology is automated diagnostics for key system components, allowing the system to detect and report e.g. grid failures or need to replace a battery. De Toolroom en spuitgietafdeling bieden complexe productiediensten voor kunststof elementen. Hier vindt u alle nodige informatie, zoals de meest recente software, instructies en certificaten. Maak kennis met de functionaliteit van onze apparatuur, die wordt beschreven in de handleiding voor de eindgebruiker.